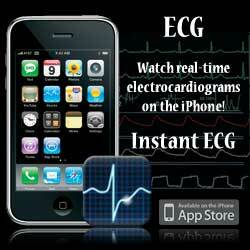 Available only on the iTunes App Store, Instant ECG is a must have iPhone App for any health care professional! The Instant ECG iPhone App teaches the basics of electrocardiogram (ECG) electrophysiology, myocardial action potential, associated waveforms, intervals and segments in order to help you develop a framework needed to analyze ECGs. Instant ECG also distinguishes the difference in various myocardial ischemia or injury patterns. All this education is bundled into one convenient iPhone App. Utilizing the iPhone’s interactive touch screen, Instant ECG offers “real-time” movies to make rhythm analysis similar to the clinical setting. Over 30 unique arrhythmias are presented with specific diagnosis criteria. The movies in conjunction with information pages optimize your understanding of each arrhythmia. Future versions (free updates) will offer multiple examples of each specific arrhythmia. Instant ECG quizzes provide over 150 questions to test your electrocardiogram knowledge. There are five exams (ECG Basics, True/False, Multiple Choice, Rhythm Identification and 12-lead Identification) offered on the ECG iPhone App. Test your understanding and follow the results as you advance to mastering ECG interpretation. 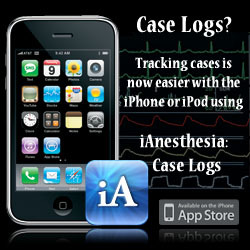 The Instant ECG iPhone App offers health care providers quick and easy reference to an assortment of common arrhythmias. Never be caught at the bedside wondering what is the rhythm?